1 Elected A stakeholder who lives, works, owns property or who declares a stake in the Neighborhood Council and can affirm an ongoing and substantial community interest and who is at least 18 years of age at the time of the election. A stakeholder who lives, works, owns property or who declares a stake in the Neighborhood Council and can affirm an ongoing and substantial community interest and who is at least 18 years of age at the time of the election. 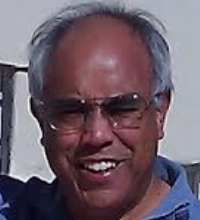 Ruben George Chavez – I am the President of the El Sereno Veterans Monument Committee which advocates for veterans in El Sereno. M. Scott Johnson – My number one goal in seeking re election to the LA-32 Neighborhood Council is to continue to grow the outreach capacity of this collective, community-elective body that effects positive change for the Greater LA-32 NC Community. 4 Elected A stakeholder who lives, works, owns property or who declares a stake in the Neighborhood Council and can affirm an ongoing and substantial community interest and who is at least 18 years of age at the time of the election. Stakeholders who live, work or own property within the Neighborhood Council and who are at least 18 years of age at the time of the election. Ari Ruiz – My name is Ari Ruiz and I wanted to take this opportunity to introduce myself.I’ve lived in Los Angeles for more than a decade. Previously, I worked for LAUSD Board Member Steve Zimmer who represents families in West Los Angeles and what I enjoyed the most was working with parents, students and our volunteers. I am a proud owner of Zimba, a 2-year old rescue poodle who I named after “Zimba” from the movie Lion King.I hope you will assist me in advocating for strong schools and bright futures for our children, for opportunity no matter your economic, culture and/or gender. In 2006, I had the privilege of being a Board Member, I’m thankful for the support you’ve given me in the past and I’m thrilled that we’re going to get a chance to stand together again.Are you ready? Let’s do this. Chemo Flores – Turning problem into solution is the staple of change. And change is what we need. Bringing all the City of Angels together and bringing one nation under good from which we pledge. United we stand. Divided we fall. Let the healing begin. 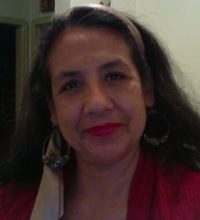 Cynthia Sandoval – My name is Cynthia Sandoval, resident in 90032 for 46 years. I have lived in University Hills located in the South Region of 90032. In the past three years I have been involved in many of our successful community events, clean ups and town hall meetings hosted in the close communities such as Rose Hills, Hillside Village, and El Sereno. These events include the Annual Kite Festival, The Lummis Day Festival, The LAUSD Candidate Forum, El Sereno Skate Park Revitalization and more. The last 3 years elected to the LA-32 Neighborhood Council has been a rewarding experience, I am dedicated to make changes in 90032 and will participate in the process of bringing the community closer to our local government. I vow to give my effort and time to improve the quality of life of those residents that also reside in 90032. Your vote can help me make a difference. 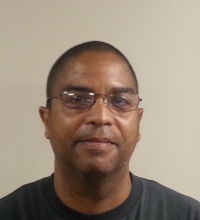 Hugo L. Pacheco – Your vote is important to me. It will make it possible for me to represent you for a third term. For those of you who have attended the Neighborhood Council Meetings you know that I am very dedicated and vocal when it comes to making sure that our community is treated fairly and justly. My involvement with our community dates back to the time I attended Wilson High School over 40 years ago to the present. Representing you as a Director-at-Large will allow me to use my talents and education for the betterment of the entire community. 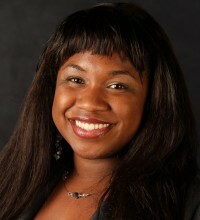 I graduated from Cal-State L.A. and have worked in Housing, Education, Labor and Business Sectors. I have strong belief in a democratic system and have done everything to uphold the principles behind it. Your vote is important and I pledge to work for your community interest if you vote for me. Thank you. Marleen Fonseca – I’m a neighbor of 40 years, and am now raising my two teenage children here. I come with much expertise in the workings of city government, having spent 11 years as a civilian employee / manager of the LAPD, and currently serving as a Labor Representative for 1,341 city employees in 6 different Departments for the Engineers & Architects Association – L.A. City’s oldest union (1894). My city experience and vast network of friends and colleagues will be beneficial to the Neighborhood Council and residents of 90032. I graduated from All Saints Catholic School and Sacred Heart of Mary High School; I earned a Bachelor of Science degree from UC Riverside, majoring in Environmental Science. I am a committed neighbor, parent and homeowner who cares about the quality-of-life in our community and will dedicate myself to the commitment needed to continue building and empowering our beautiful neighborhood. 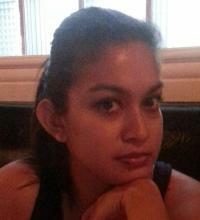 Maria E. Miranda – My name is Maria Miranda I would like to help our community by being a director on the LA-32 NC. I will dedicate my time and efforts to see that improvements in our neighborhoods are made. I would also like to see the NC outreach improved, by my participation I will engage in getting my neighbors involved. I look forward to working with the newly elected directors. My commitment to the stakeholders will be to keep them informed and to help in any way that I can to improve the quality of life here in 90032. 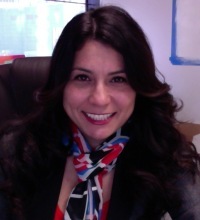 Genny Alicia Guerrero – I am running for an At-large seat on the LA 32 NC. I am a long standing member of the community, where I have been involved in making sure our communities are safe. 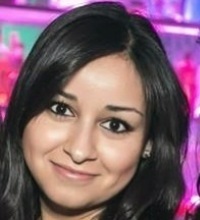 Roxy Melgar – As a returning NC member I will continue to help my community to improve and help make it a better neighborhood for our children. Term: 2 years 4 Elected Stakeholders who live, work, own property or a business, who are members of a community organization or a public agency within the defined boundaries of the West Region and who are 18 years or older. Stakeholders who are at least 18 years of age and who live, work, or own property in the LA-32 West Region. Isaac Elias Aquino – I have lived in 90032 for nearly 30 years and have served my community for the last 10-13 years. I’ve also served my country in the U.S. Navy.I’ve been involved in several community groups over the years and have coached at El Sereno Park. I believe I possess the knowledge, experience and leadership that it is going to lead the communities in 90032 in the right direction. 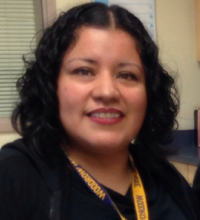 Luisana Valdez – Really excited to get involved with the community and make changes. Kaprisha Vallecillo – I live in this community, work in this community, and raise a family in this community. As an attorney, with an advanced degree in Public Administration, I can utilize my legal and governance skills to improve El Sereno, Hillside Village, Rose Hills, and University Hills. As a resident and parent, I have a vested interest to ensure that our neighborhood is safe, clean, and prosperous.In the past years, our neighborhood has seen many improvements, including the revitalization of Huntington Drive, prompt response to graffiti removal, and an overall decrease in crime. By joining efforts with residents, our community has the potential to be a jewel of Los Angeles. Allow me to join the Neighborhood-32 council board and I will help our community realize its potential. Term: 2 years 4 Elected Stakeholders who live, work, own property or a business, who are members of a community organization or a public agency within the defined boundaries of the East Region and who are 18 years or older. Stakeholders who are at least 18 years of age and who live, work, or own property in the LA-32 East Region. Raymond Diaz – The community of the LA-32 is a diverse area of Los Angeles and I am proud member. It will be a privilege to serve the community as a member of the Neighborhood Council. I want to give back to the community that helped shape me into the man I am today. 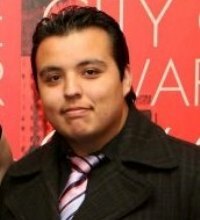 Please vote for Raymond Diaz.La comunidad de la LA-32 es un área diversa de Los Angeles y estoy miembro orgulloso. Será un privilegio servir a la comunidad como miembro de la Junta de Vecinos. Quiero devolver a la comunidad que me ayudó a dar forma al hombre que soy hoy. Por favor voten por Raymond Díaz. 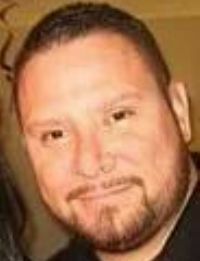 German Vasquez – I am a long time resident of El Sereno. I attended local schools in the area. Once elected to the LA 32 NC I will focus on Education and Public Safety. Vote for German Vasquez! Term: 2 years 4 Elected Stakeholders who live, work, own property or a business, who are members of a community organization or a public agency within the defined boundaries of the North Region and who are 18 years or older. Stakeholders who are at least 18 years of age and who live, work, or own property in the LA-32 North Region. Jessica Alvarenga – I am confident that my educational background paired with my past experiences make me a great candidate to hold a seat in the neighborhood council. I studied Political Science and Urban and Regional Studies, at the University of California Los Angeles, of which both fields are very relevant and significant to this position. I have worked for Senator Barbara Boxer where I gained experience working on constituents’ needs, and I also have experience working with the El Sereno community through my contributions to Our Town El Sereno Community Magazine. I have the leadership skills and work experience necessary to make me a valuable asset to the council, and I am looking forward to contributing back to the neighborhood I grew up in. 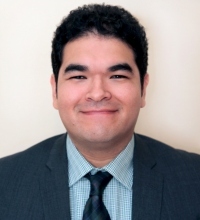 Bryan Pedroza – I am excited to have the opportunity to potentially represent my community as a member of the council. I have lived in El Sereno for over 15 years and want to contribute to improving the quality of life for all residents. After graduating from UC Riverside with a degree in History, I wanted to return home to El Sereno to give back to the community that gave me so much. I have previously worked with Senator Barbara Boxer where I assisted fellow Californians with a variety of issues, as well as worked with Wendy Greuel during the previous Mayoral election. Aside from this, I have worked with juvenile youth, assisting them and their families in developing the qualities necessary to turn their lives around. Overall, I have the experience, ideas, and the relentless drive to improve the lives of my fellow residents now and for generations to come. Thank you! Nicholas A. Carrillo – El Sereno is a vibrant and diverse community with a rich history and culture. I have seen this town make great strives in my 19 years living here. From attending Elementary and Middle School, to playing at El Sereno Park as a Stallion, and even now as I attend California State University, Los Angeles. I hope to improve upon the traditions and festivities that El Sereno offered me growing up and continue seeking innovative approaches and ideas to help El Sereno flourish. Currently I work for the Associated Students Incorporated, as there Legislative Affairs Representative. I have created voter registration drives, developed events for students at CSULA, and put together a team of students to lobby for Higher Education in the the State Capital with 22 other colleges. With your support, I plan to use my passion and experience to empower not just this council but all of El Sereno. 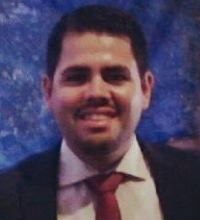 Anthony Gonzalez – Wilson High graduate and long time El Sereno resident. I would like to improve the quality of life for my community. 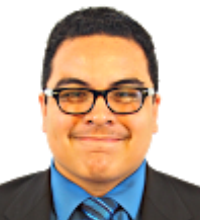 Auggie Rodriguez – El Sereno resident, looking to help my community in all areas that are in need. 4 Elected Stakeholders who live, work, own property or a business, who are members of a community organization or a public agency within the defined boundaries of the South Region and who are 18 years or older. Stakeholders who are at least 18 years of age and who live, work, or own property in the LA-32 South Region. 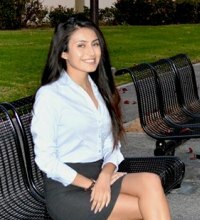 Sasha Perez – While attending Cal State Los Angeles I began to question how I could use my education to improve the community that had raised me – El Sereno. In October 2013, I began interning for Council Member Jose Huizar in order to assist with the progression and improvement of our beautiful city. 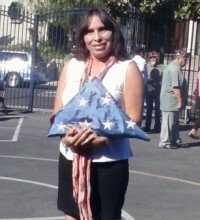 I’ve participated in the Business Improvement District project, and assisted with the new El Sereno Veterans monument. I have also been working on improving the community’s relationship with the neighboring university, Cal State Los Angeles. I want community members and their children to attend our University’s events and enjoy all that this beautiful campus has to offer. Being a representative for the LA 32 neighborhood council would allow me to work directly with the community in continuing their progress. It would be an absolute privilege to serve the City of El Sereno, and I look forward to the opportunity.